Leonard Session, the only child and son of the late Harold Session and surviving mother Ann Peavley Session, was born on September 11, 1954 in Wurzburg, Germany on the military base where his father was serving. He was called home to his Lord and Savior on October 16, 2018. He was raised in Arlington, Virginia, and fell in love with the Virginia Tech campus in Blacksburg, where he would go on to receive various degrees of education. While studying for his Bachelor’s in Industrial Arts Education, he met the love of his life, best friend, and soulmate, Marilyn Morgan. They began a blossoming romance together as Lenny participated in activities such as playing basketball, running the local campus radio station, and becoming a lifelong member of the Schaeffer Memorial Baptist Church. Lenny and Marilyn wed, and he furthered his learning with a Master’s in Vocational Education, went on to become a Deacon at the age of 24, served as a Chairman of the Board for twenty-five years, and even earned the prestigious honor of becoming a Mason of St John’s Lodge 35. 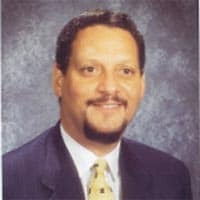 Education and administration were his career calling, and Lenny touched countless lives in our community as a principal for many years. In his spare time, he was an Eagle Scout, developed a passion for vegetable and flower gardening, loved wood-working, created stained-glass artwork, and spent time with his family and friends. He was known to many as, “The Flower Doctor” for his incredible green thumb, and could often be found working out in his beautiful flower gardens with Marilyn. To cherish his memory and carry on his loving legacy, he leaves his devoted wife of 41 years, Marilyn; his sons, Bryan and Brandon; his mother, Ann Session; his “brotherly”uncle, Harold; brother-in-law Mario and sister-in-law Yolanda (Landy), and a host of other relatives, friends, and loved ones. Funeral will be conducted Sunday, October 21, 2018 at 2:00 pm in the Schaeffer Memorial Baptist Church with the Rev. Kenneth B. Wright officiating. The family will receive friends from 4-7:00 pm Saturday evening at Schaeffer Memorial Baptist Church, Christiansburg.